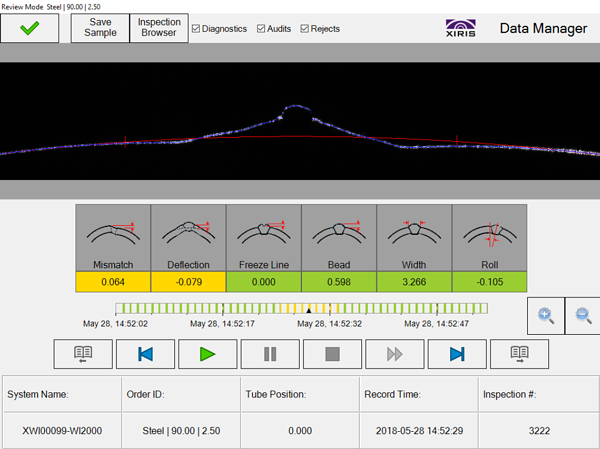 Monitoring the welding process during coil joining at the front end of a tube mill is crucial to the integrity of the weld as it moves through the tube mill. Coil joint failure can be costly in terms of both time and efficiency of production on the mill. Operator safety must also be maintained by removing them from the direct welding area as much as possible while enabling them to monitor the coil joining process. 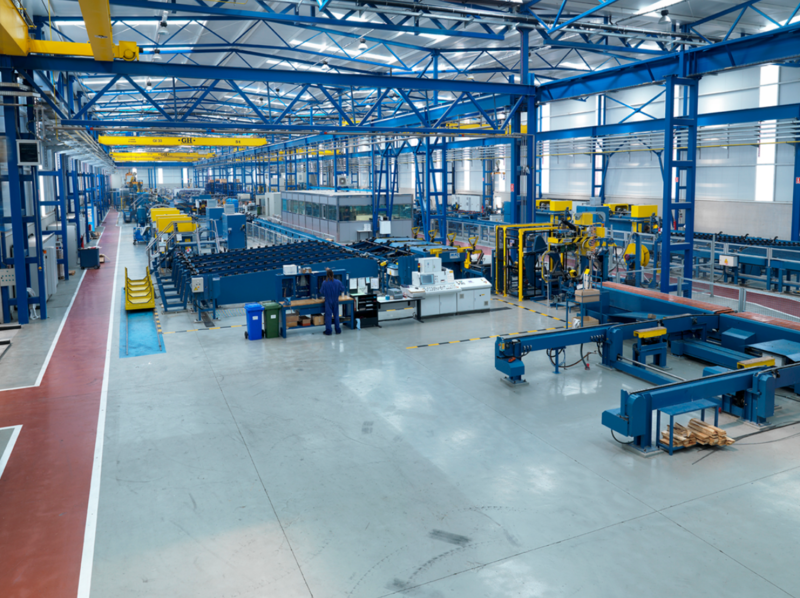 Continuous welding processes used in coil joining require real time operator monitoring to ensure that the process continues smoothly and efficiently. The Xiris XVC-1100e50 camera provides a way to do just that. A recent Xiris customer manufactures thick walled steel pipe in a continuous high frequency welding process at 70 feet (20 m) per minute. The customer had implemented a semi-automatic coil end joining system on the infeed buffer of the pipe mill, giving the operator about 10 minutes to end sheer, mate and weld a new coil. This is sometimes referred to as end joining. The welding process used a MIG welding torch mounted onto a linear track with dual axis torch position adjustment via a remote control pendant. With the Xiris XVC-1100e50 camera mounted to the traveling torch assembly, the operator was able to close the curtain, providing greater weld arc shielding while maintaining a clear view of the weld torch-to-seam alignment on a display screen. The camera provided the operator with a clear, close up view of the weld process, which allowed the operator be remote from the direct welding area. 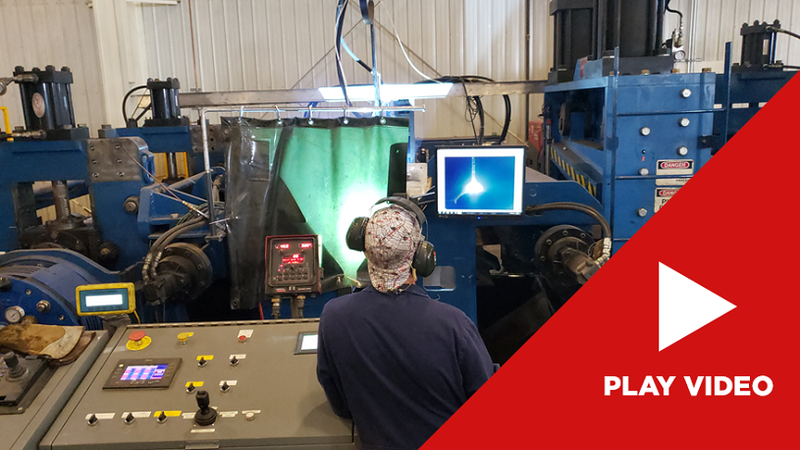 By providing a clearer image of the weld process, the operator was able to make more consistent welds, reducing the potential for a joint failure as the strip is driven through the pipe making process. This is just one example of how Xiris products can enhance your manufacturing process. Contact Xiris sales to see how our products can enhance your unique process.